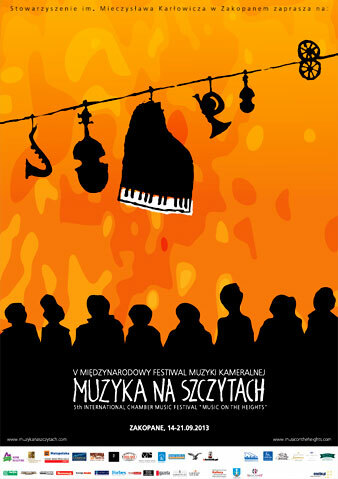 The “Music on the Heights” International Chamber Music Festival, which is organised by the Mieczysław Karłowicz Association in Zakopane, has been held every year in Zakopane, southern Poland, since 2009. The festival’s name refers both to the Tatra mountains which lie next to Zakopane, the resort town where the festival is held, and is also a reference to the high quality of music performed. The Polish Tatra Mountains inspired many of Poland’s great composers of the twentieth century such as Mieczysław Karlowicz, Karol Szymanowski, Henryk Mikołaj Gorecki and Wojciech Kilar. Zakopane developed into a major centre of national culture in the interwar period. 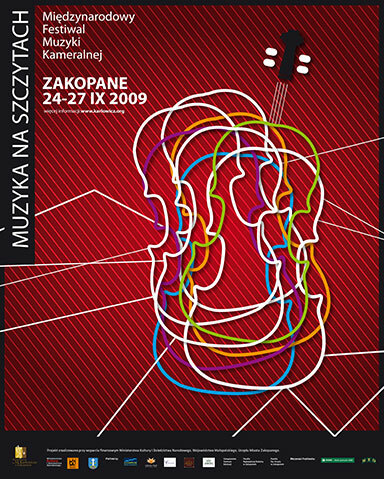 To encourage the continuation of this artistic legacy, the Mieczysław Karłowicz Association in Zakopane has successfully attracted many prominent composers to attend and musicians to perform, some of them international stars such as the Kronos Quartet, The King’s Singers, Ewa Pobłocka, Mayuko Kamio, the Royal String Quartet, the Szymanowski Quartet, Sharon Kam, The Brodsky Quartet and the Musagète Apollon Quartet. The diversity of festival events reaches beyond music and includes numerous cultural events. In recent years, this has included “The Kreutzer Sonata,” starring Andrzej Chyra, “Clarissima” by Justyna Bargielska, the outdoor dance performance of Szymanowski’s “Harnasie” and the “Dress Yourself in Music” fashion show. In addition, there have been exhibitions of paintings and photography, film screenings as well as music discussions held at the historic wooden house in the Zakopane Style, “Dom Pod Jedlami” [House under the Firs]. The opening concert of the VIIIth edition of the festival is a taste of the far-reaching variety of the concert programme, but this is not without a certain logic. At this event, the very beautiful voice of Karol Kozłowski, along with his brother Mischa, will perform Dichterliebe, the best known song cycle by Robert Schumann. In the second part of the evening, the great Royal String Quartet, accompanied by the young pianist, Mischa Kozłowski, will perform Mieczysław Wajnberg’s Piano Quintet, op.18. Olivier Messiaen worked all his life as the organist at the Church of the Holy Trinity in Paris. During the festival, his most famous chamber music works will be performed as well as his organ music. Works by César Franck from Belgium, one of the greatest composers of the nineteenth century, who had a lifelong association with Paris, will also be performed. On the second day of the festival, the above works will be played by Arkadiusz Bialic, one of Poland’s leading organists, and a Grand Prix winner of the International Organ Competition in Chartres, France. Extending the programme, but at the same time exploring the music of the past (the concept is a kind of leitmotif of this programme), we encounter Historically Informed Performances as well as music which has never been performed before at the foot of the Tatra Mountains. The modern interiors, in which Baroque masterpieces will be presented, will further emphasize the ‘passage of time’. The performance marks the debut of the Historical Orchestra at the festival, and the appearance of Olga Pasiecznik in Zakopane will show the audience another embodiment of this outstanding artist. Wind music ensembles are always welcome at the foot of the Tatra Mountains. Though they do not directly belong to the tradition of performing music in the Podhale region, they may perhaps present something exotic for the local audience. And it will be quite exotic, because the LutosAir Quintet’s repertoire brings together Polish, American, Hungarian and Turkish music. The next concert is a combination of mastery and experience of old and new, which is a juxtaposition of music composed from the eighteenth to the twentieth centuries. This included the freshness of the sound of the newly remastered harpsichord sonatas of Domenico Scarlatti, as well as a compilation of other works for flute, violin and harpsichord. This will take place in the intimate and exceptionally beautiful interior of the historic wooden church on Pęksowy Brzyzek. The talented musicians Magdalena di Blasi (flute), Joanna Konarzewska (violin), Paulina Tkaczyk (harpsichord), will be accompanied by the oboe and guitar masters Arkadiusz Krupa and Michał Nagy. According to Alex Ross, “music is sometimes so beautiful that when people hear it, they fall into boundless admiration. Quartet for the End of Time by Olivier Messiaen, with its wonderful, melodious melodic lines and gently sounding chords – whenever it is performed – makes time stop”. This composition is now one of the most significant and popular chamber works of the twentieth century. The score features the following inscription: In homage to the Angel of the Apocalypse, who lifts his hand toward heaven, saying, ‘There shall be time no longer.’ The world première of this work took place in 1941 in a POW camp in Görlitz (where Messiaen was imprisoned) on a Polish evening in the presence of hundreds of prisoners. During the performance at the Zakopane festival, the Israeli clarinetist Shirley Brill (already known to our audience), violinist Izabella Szałaj-Zimak, cellist Michał Pepol and pianist Jonathan Aner will perform this work. The final concert will be a real treat for lovers of string quartets. You will hear a representative selection of the Kunst der Fuge by Johann Sebastian Bach, Quartet in F sharp minor by Dmitri Shostakovich and the famous Große Fuge, op. 133 by Ludwig van Beethoven. 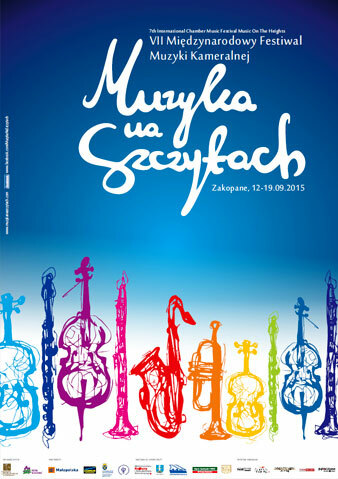 Let the fugue, the pinnacle of musical forms, be the culmination of the festival’s music at the foot of the Tatras. We warmly welcome you to Zakopane and the Tatra Mountains, from 3 – 10 September, for a week of world-class chamber music performances! 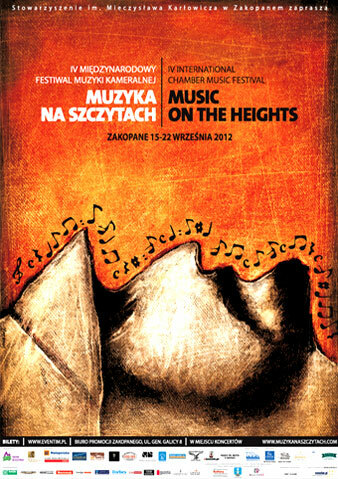 Welcome to the VIIIth ‘Music on the Heights’ International Chamber Music Festival, which will be held in Zakopane on 3-10 September 2016. The theme of this year’s programme is related to the concept of time in the widest possible sense. This is why the compositions from radically different eras, and the works in which time itself affects the form of the work, and also the works which address time in its metaphysical aspects, collide. For the first time during the festival, early music will be presented alongside contemporary music, both in their original versions (as Historically Informed Performances) as well as modern arrangements. This acts like a ‘bridge of time’, linking the past centuries with the present. 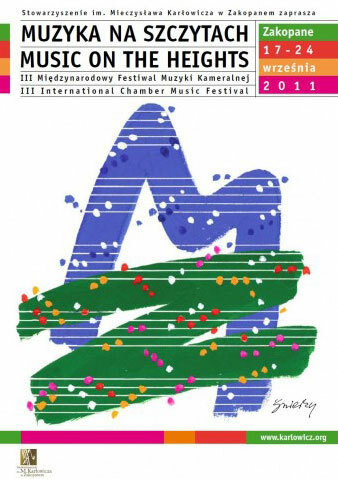 The performances include some of the best practitioners of world and Polish chamber music, including the prominent Israeli clarinetist Shirley Brill, award-winning pianist Jonathan Aner, world-renowned soprano Olga Pasiecznik, and the internationally successful Royal String Quartet, popularly known for their collaboration with the Polish pop star Kayah. 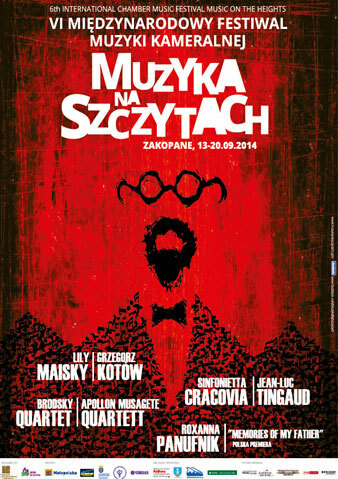 The festival’s artistic director is Paweł Mykietyn, one of Poland’s greatest contemporary composers. The VIIIth ‘Music on the Heights’ festival will, as usual, feature many accompanying events, such as the open-air exhibition entitled. ‘Spaces of culture – where music comes to life …’ dedicated to Poland’s newly built concert halls. This exhibition will be displayed on the fence of the University Hospital of Orthopaedics and Rehabilitation in Zakopane and will be held from June 20 to September 30, 2016. In addition, on September 2, at 6pm, an exhibition of paintings and ceramics by Beata Zalot entitled ‘Niedoskończoność’ will be held at STRH Cafe & Gallery. This will be combined with the launch of the artist’s latest book. On September 4, during the week of the festival, the exhibition ‘Artists of Podhale’ will be held at the Centre for Tradition and Tourism in Kościelisko. Here, the achievements of artists selected from each district of the Tatra region will be presented. Muzyka na Szczytach jest dla mnie jedną z głównych atrakcji roku: to jedyna taka okazja, by grać tak fascynujący program z udziałem najlepszych muzyków w tak pięknej scenerii. Music on the Heights is one of my highlights of the year: it’s a unique opportunity to play a fascinating program with top-level musicians in such a beautiful setting. Wykonywanie tak wspaniale poruszającej muzyki Panufnika w Zakopanem było dla mnie prawdziwą przyjemnością, piękno muzyki i natury dopełniają się wzajemnie w swojej perfekcji, niesamowity koncert! Playing Panufnik’s evocative music in Zakopane was such a great pleasure, the beauty of the music and the setting complemented each other to perfection; it was an unforgettable concert! Atmosfera w Zakopanem potrafi budzić na nowo ducha wrażliwości na piękno, zarówno w wykonawcach, jak i w słuchaczach. The atmosphere in Zakopane is able to re-awaken the spirit of sensitivity to beauty in both performers and listeners alike. 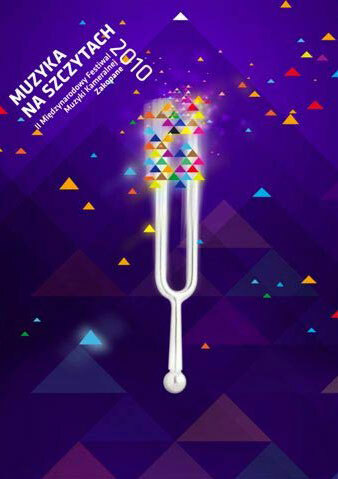 Dzięki swojej mutlidyscyplinarnej formule, festiwal Muzyka na Szczytach należy do grona najważniejszych i najciekawszych, cyklicznych wydarzeń kulturalnych w Polsce. Thanks to its multidisciplinary form, the Music on the Heights festival has become one of the most important and interesting annual musical events held in Poland.